Your bus tour will visit many of Baltimore’s neighborhoods. We will first visit Federal Hill Park, where you can enjoy a scenic view of the Baltimore Harbor and the downtown skyline. 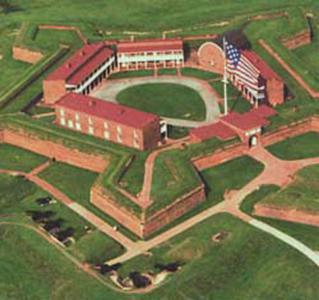 Next, we will visit Fort McHenry, where Francis Scott Key gazed through the fog of the dawn’s early light and was inspired to write the historic words to the Star Spangled Banner. In the fort, we will learn how early American soldiers lived during the Revolutionary War era. 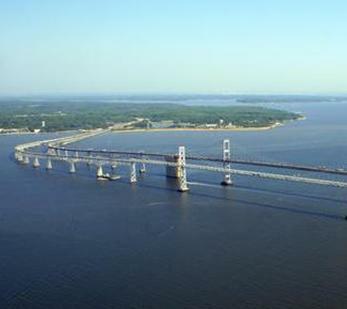 After visiting the fort, we will take a driving tour of the Mount Vernon neighborhood, see the Walters Art Museum, the Engineers Club, the Peabody Conservatory of Music, and the beautiful Mount Vernon Methodist Church. We will pass the famous Westminster Cemetery where Edgar Alan Poe is buried on our way back to the Convention Center. The Walters Art Museum houses one of the finest manuscript collections in the country and is especially rich in religious works. Join Dr. Lynley Anne Herbert from the Department of Rare Books and Manuscripts for a private, behind-the-scenes tour of some of the most exquisite and culturally-diverse Biblical manuscripts in the collection, including works in Greek, Latin, Russian, Armenian, Ge’ez, and Arabic. Tours are limited to fifteen people at once and will take thirty minutes. You will then be free to explore the rest of the museum. 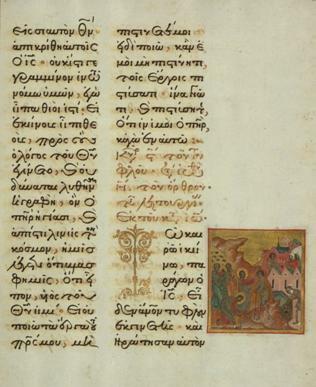 Examples of what might be shown include a Greek Gospel Lectionary (1594), the famous Armenian T’oros Roslin Gospels (1262), a rare Islamic Gospel Book (1684), an Ottonian Gospel Book in Latin (c. 1000), Ethiopian Gospel Books in Ge’ez, (fourteenth and sixteenth century), and a Russian Old Believers Apocalypse (eighteenth century). Painter Jacob Lawrence is known for using a series format to render in colorful expressive imagery and text the narrative stories of historical African American figures like Frederick Douglass and Harriet Tubman. 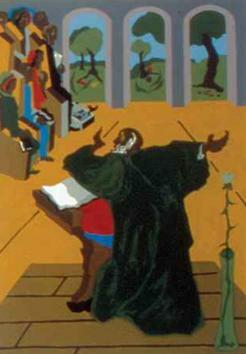 Each of the eight works on view in Jacob Lawrence’s Genesis Series (1990) describes a passage from the book of Genesis in the King James version of the Bible. The series reflects Lawrence’s youthful memories of passionate sermons about the Creation given by ministers at the Abyssinian Baptist Church in Harlem, where Lawrence was baptized in 1932. The Genesis Series, loaned from Eddie and Sylvia Brown’s Baltimore collection, features the same unity and visual eloquence of his earlier series and has a powerful, expressive impact. Accompany your private docent throughout this limited-time exhibit at the Baltimore Walters Art Museum. Tours are limited to twenty-five people at once and will take twenty minutes. You will then be free to explore the rest of the museum. This tour will provide a docent-led tour of the museum's permanent exhibition, "The Holocaust," which includes over 900 artifacts, seventy video monitors, and four theaters with historic film footage and eyewitness testimonies. The tour will include a special visit to the museum's library and archives, with information about the museum's academic resources. The following museum exhibitions can also be viewed: "Some were Neighbors: Collaboration and Complicity in the Holocaust," "Remember the Children: Daniel's Story," "A Dangerous Lie: The Protocols of the Elders of Zion," and "From Memory to Action: Meeting the Challenge of Genocide." Participants will board a bus from the Baltimore Convention Center and travel to Washington D.C. and back for this special inside look inside the museum. 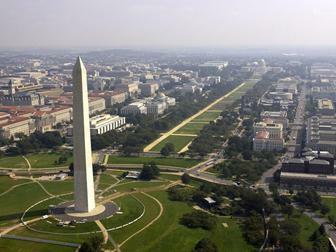 Treat yourself to the best of the nation's capital on this five-hour day trip. The bus will leave from the Baltimore Convention Center and travel to the famous National Mall of Washington D.C. Participants will have the opportunity to visit one or more of several landmarks, museums, and other national sites on their own, many of which are complimentary. More information can be found here to plan your visit. Bus transportation will be offered on both Saturday and Sunday. Picture Fell's Point in Baltimore, Maryland, as it once was — a rowdy seaport town and the birthplace of the sleek and dangerous clipper ship. Its streets were full of sailors from foreign lands spilling off ships, immigrants anxious to start a new life, ladies of the night looking to make ends meet, and all the characters seeking a living off the maritime industry. Given this explosive combination, is it any wonder that many spirits remained behind? Join us under the cover of night to explore the many haunted pubs, shops, and residences in the area. But don't stray too far from the group because you never know when you'll find yourself face-to-face with the unknown. 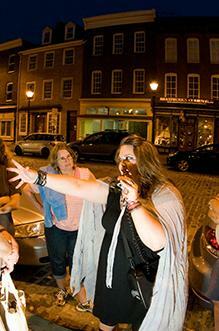 The Fell's Point Ghost Walk lasts approximately one hour and is an entirely outdoor walking tour. A bus ride from the Convention Center to Fell's Point and back will be provided. 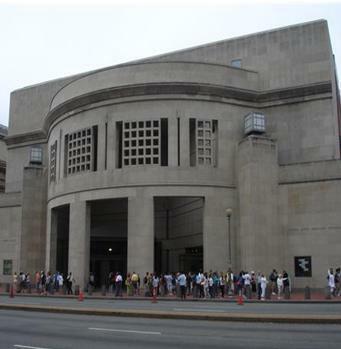 Participants will board a bus at the Baltimore Convention Center and travel to Washington D.C. to the Freer Sackler Museum of Asian Art. The curator will give a private tour of the special exhibit, "Yoga: The Art of Transformation," and the complimentary exhibit, "Yogis in the European Imagination." 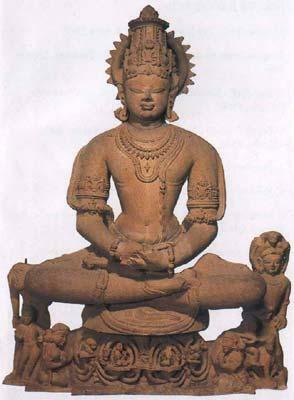 Through masterpieces of Indian sculpture and painting, "Yoga: The Art of Transformation" explores yoga’s goals; its Hindu, Buddhist, Jain, and Sufi manifestations; its means of transforming body and consciousness; and its profound philosophical foundations. The first exhibition to present this leitmotif of Indian visual culture, it also examines the roles that yogis and yoginis played in Indian society over the past two thousand years. This exhibit includes more than 120 works dating from the second to the early twentieth century. Temple sculptures, devotional icons, illustrated manuscripts, and court paintings — as well as colonial and early modern photographs, books, and films — illuminate yoga’s central tenets and its obscured histories. Borrowed from thirty museums and private collections in India, Europe, and the United States, the highlights include an installation of three monumental stone yogini goddesses from a tenth century Chola temple; ten folios from the first illustrated compilation of asanas (yogic postures); and Thomas Edison’s Hindoo Fakir (1906), the first movie ever produced about India. Visitors will also have an opportunity to view "Yoga in the European Imagination," a complementary exhibit with some forty European prints and books featuring images of yogis, fakirs, and sadhus. Dating from the sixteenth to early twentieth century, the materials provide a deeper look at European perceptions of South Asian ascetics. As a major port city on the border of North and South, Baltimore developed a distinctive and varied religious landscape from the late eighteenth century through the nineteenth century. The early histories of two of the nation’s largest religious groups, Roman Catholics and Methodists, are also anchored in the city. This bus tour will visit landmark buildings designed by architects of both local and national distinction. The sights will include the Basilica (originally Cathedral) of the Assumption, designed by Benjamin Henry Latrobe, and Lovely Lane United Methodist Church, designed by Stanford White. Also included will be distinctive historic buildings erected by Lutherans, Jews, Episcopalians, Unitarians, and other groups. Several churches feature impressive stained glass windows by Louis Comfort Tiffany and other artists. 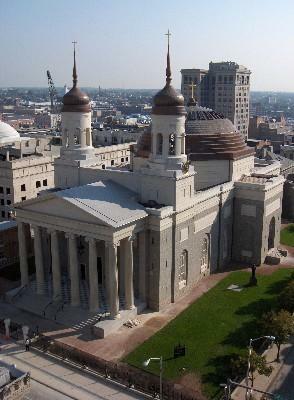 Tour participants will experience the development of the city of Baltimore and of American religious architecture and see how historic houses of worship are integrated into the life of the city and its congregations today.